It is a professional stage costume. It is made on the basis of a tutu attached to camisole leotard made of velvet. 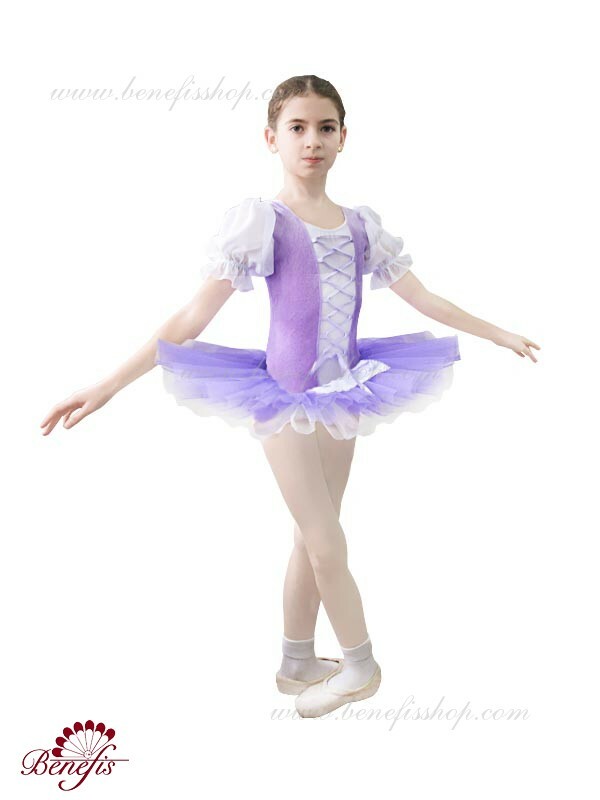 The top layer of the tutu is folded as top layer of any professional skirt.The tutu has 3 layers. The length of the layers is different (it depends of customer’s desire) and decreases towards the lower layer of the skirt. 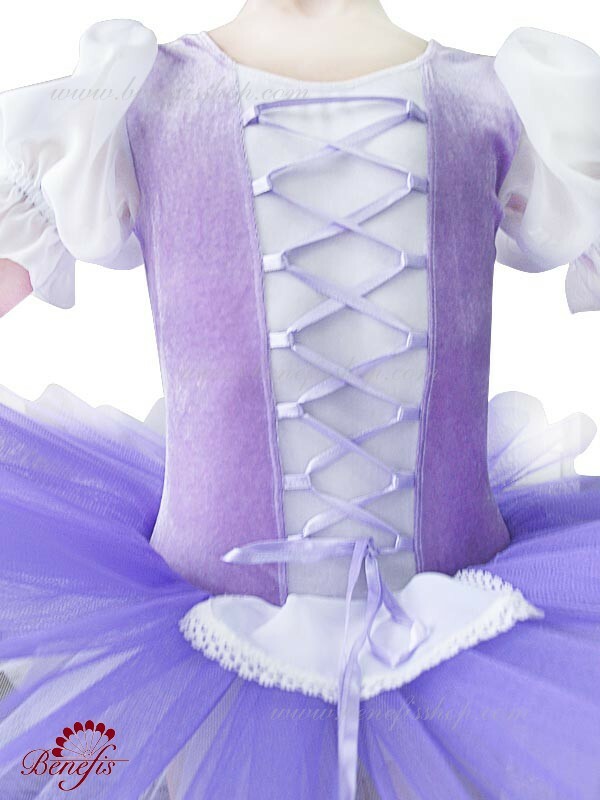 Due to special technology, the tutu preserves splendor even without hoops. Camisole leotard is decorated with inset of supplex and apron.The inset is decorated with lacing. For a better safety of this costume and transportation facility, You can purchase a tutu bag. See "Accessories" section.